Recently, I wrote about using CreateSpace to print Advance Reader Copy (ARC) books to share with potential reviewers before publication date. But as popular as CreateSpace is for printing and distributing POD books on Amazon, it is not the best choice for printing ARCs—unless you can live with their limitations. The better solution is IngramSpark. Printing limits: none. Print as many copies as you need*. ISBN: not required. You can use an IngramSpark ID number for your ARCs. NOTE: This article addresses the unique differences between CreateSpace and IngramSpark. For more background on the role and need for ARCs, and why they should be part of your marketing plan, please read this post. There is also helpful information there about timing and timelines. The point of ARCs is to get a copy of the book into the hands of media, influencers, and potential reviewers. The CreateSpace limit of 5 copies per order makes any meaningful effort of this sort cumbersome and time consuming, not to mention more expensive due to the additional shipping costs. While the number needed is a function of the size of your database, I would think a more realistic goal is at least 20 copies. Clearly, a noteworthy book from a distinguished author will generate more interest. Just keep in mind that not everyone on your list is going to respond, or respond in a timely manner. Take comfort in the fact that this is some of the most cost effective marketing you can do. Of course you will need an ISBN to sell your book in a store. But you do not need an ISBN to print a book if you plan to giveaway copies (or for that matter sell outside of a store). This is precisely why this is such a significant point of differentiation between IngramSpark and CreateSpace when it comes to ARCs. The first time you set up your book on IngramSpark you have the choice to enter an ISBN or use a free Ingram-provided ID number. The top two images in the photo collage shown here are from book covers and the lower one is the header of an interior page of an ARC. Like CreateSpace—or any printer for that matter—you need to account for proofing and shipping times. Here’s a brief summary of the key steps unique to IngramSpark. (See my CreateSpace article for more details about approximate time requirements). Add the book to your IngramSpark account. In the final step—number 5—you will have the option of using an ISBN or assigning a “non-distributable SKU” to the book. Assign the free SKU. When you are done ordering ARCs, call IngramSpark and ask them to change the SKU to the correct ISBN. Yes, you need to call. What is your experience printing ARCs? Add your thoughts to the comments below. We work with self-publishers to help them set up and coordinate book distribution, pre-order and ARC production, as well as manage development and distribution of book metadata. It’s takes a lot of coordination. Contact us to learn more. *CreateSpace vs. IngramSpark printing limits: The most ARCs you can order from CreateSpace in a single order is 5. To get more, you need to re-order. Each time you do this you pay shipping and wait several days. After you’re done ordering ARCS through IngramSpark, do they let you upload new interior & new cover files? Do you think it’s worth having 2 different cover files made and do you think it’s neccesary to have all the book metadata on the back cover as I’ve seen suggested or is it OK to attach a separate sheet inside the book as I’ve also read? Good questions Sara. Yes, you can re-upload files to overwrite the ARCs. Don’t create a new record. I usually have my designer create the official cover, then add the ARC wording. So 2 covers. Whether you put the metadata on the back, or include it in an insert, is a matter of personal choice or preference. It depends on your marketing plan, timing, type of book, who you are sending it to…lots of factors. Good luck. If you can get your hands on some ARCs, from a helpful friend at a bookstore who can give you copies, or maybe a library giveaway, you can get a good idea of the sort of information publishers provide on ARCs. 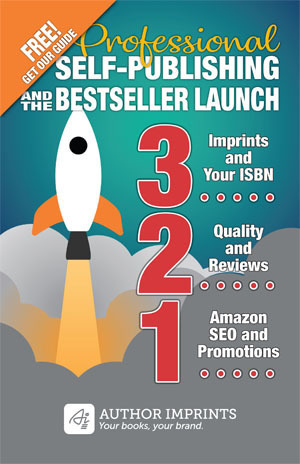 Such as detailed information about the publication, when it will be out, how much it will cost, marketing plans, etc.